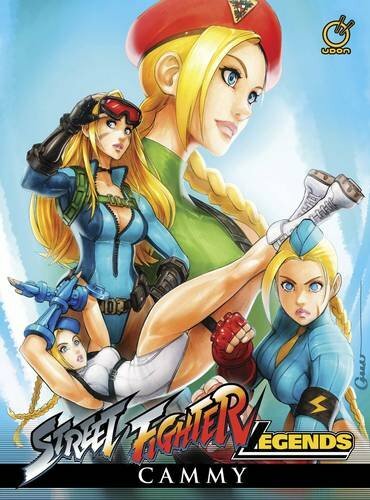 This 104-page hardcover collects issues #1-4 of the Street Fighter Legends: Cammy comic series that's written by Jim Zub and drawn by Omar Dogan. I'm not a big fan of Street Fighter comics because I always feel that their stories are a bit disjointed, especially so when's not a really strong narrative tying the Street Fighter universe together. I like the previous Street Fighter comic that I review though, Street Fighter Origins: Akuma. Anyway, I have this book because it's a review copy from Udon so I'm still gonna review it. Main character featured in this book is Cammy White, who is now the leader of a special ops team called "Delta Blue". The special ops team is like a counter terrorist team. So they were going about their mission when one of the team members went berserk, or brain-washed. And that's basically the premise of the story. The story is a very typical Street Fighter style story so you'll either like or dislike it. Needless to say, this book appeals more towards the Street Fighter comic fans.